VIP Email List – There’s a spot for you! Get a Free Gift When You Subscribe! 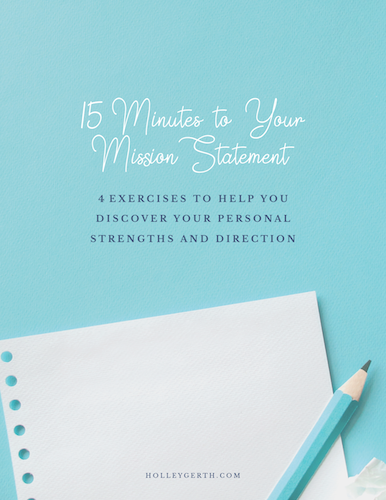 When you join my courageous community of 30k readers, you'll be on my VIP email list (never shared with anyone) and I'll send you this FREE ​exclusive gift, 15 Minutes to Your Mission Statement: 4 Exercises to Help You Discover Your Personal Strengths and Direction. ​​​​​​​​​No more ​accepting defeat! Join my courageous community now to get your spot on my VIP email list, empowering posts and ​​an exclusive ​new tool: 15 Minutes to Your Mission Statement​.